Creating a healthy work environment using exercise and other motivating tools, helps increase positivity, productivity, and employee morale in the office. Most people, if not all people make New Year's resolutions. Top of these lists is a healthier life. However, most of these goals aren't met 6 or 9 months down the line. The main contributor for this besides procrastination is unhealthy working environments. This is exacerbated when your employees have to sit all day through meetings, projects, and reports while eating unhealthy snacks at their desks. The risk of getting diabetes and being obese is increased when you sit all day and be inactive. The fats you pump into your body after eating at your workstation fail to be oxidized, and you accumulate fat in all unwanted areas. These effects will be difficult to reverse. Unfortunately, this will also affect productivity, and you will have less efficacy of work, with employees taking sick days to recuperate. Qualitatively, you must have noticed that every time you sit for prolonged periods, you lose your zest, your muscles feel droopy, and the joints ache. You do not want this for you or your employees. Standing workstations increase productivity, and it is made better when walking and standing workstations are deployed. Improved metabolism results in better performance. Most employees dread afternoon meetings. You may or may not feel the same about these meetings, but for your employees' sake, why not set up evening meetings to incorporate walks. Everyone can walk and talk. The fresh air and the pumped-up adrenaline makes your employees more productive and healthy. Fresh air increases oxygen to the body which consequently encourages catabolism, and it also makes the brain more active and alert. Walking fires up the brain, which is why people take walks when they feel bogged down. The easiest exercise tool for office workers is a stress ball. StringyBall is easy to use and convenient first step to staying fit and stress-free in the office. Employees endure a lot of stress, and cortisol levels are high in the office. Stress balls are effective stress busters because they integrate sensory and motor neurons distracting the brain from the anxiety at hand and making employees more active. Dynamic and Isometric exercises using StringyBall stress balls are effective in strengthening fingers, hands, and arms. This will result in faster typing or writing and in managing Carpal Tunnel Syndrome related issues. 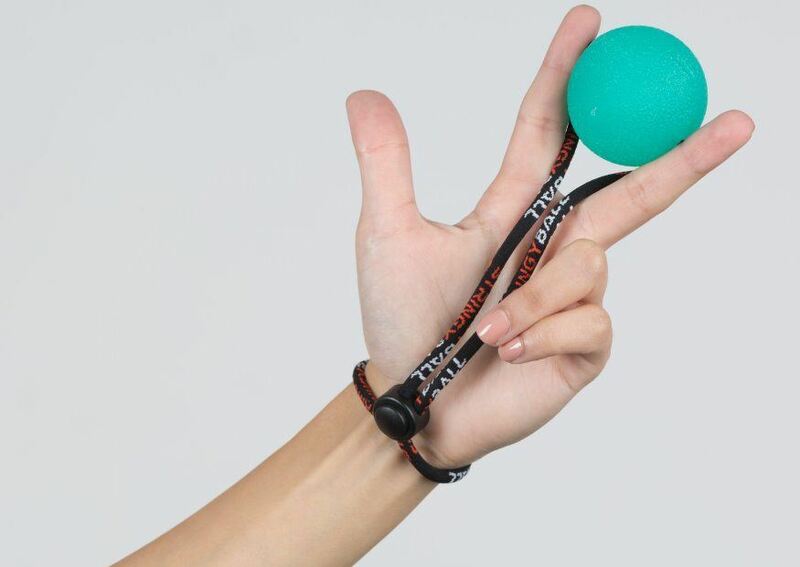 StringyBall can be tethered to the wrist while the user is busy on the keyboard and use it when their hand is free – this is an extremely cost-effective and enjoyable method to exercise while in the office. In addition to StringyBall squeeze balls, you may also consider setting up pull-up bars next to the break room or encourage desk-exercises like the calf stretches, desk pushups, hand exercises, etc. Doughnuts are yummy, but they don't sit well with your tummy belly. The salt, sugar, and fats are very unhealthy, and they increase the risk of heart diseases. The high sugar pumped into the system is released in big bursts, and after an hour or two is slumped, which leads to lowered productivity. A healthy breakfast of cereal, veggies, proteins, and fruits enhances steady release of energy in the body for longer periods leading to higher productivity levels, which also leads to an improved cognitive function. You always feel rejuvenated after taking a nap. Though some people consider napping to be a lazy habit, it isn’t. Recent studies show that taking power naps in the afternoon increases alertness. That power nap has also been shown to be effective in zapping stress out of your system, boosting your mood, and naps are the ultimate recharge buttons. You may consider taking 20-30 minutes afternoon power naps to increase your dwindling energy levels. The reasons why employees in Google and other big corporations are happy is partially because they are allowed to nap, and they even have designated napping zones. Note that napping is important whether you have a restful night or not. You have to make it work. Ensuring you go to the gym isn't a responsibility of the management in all entirety. You can encourage your employees to pay for a gym membership at a company's subsidized price. Being fit is important to your staff and your business as well. Don't you always feel more energetic, focused, and alert after working out? Besides reducing the risk of disease, working out reduces cortisol levels and enhances release of feel-good endorphins. This hormone gives feelings of well-being. You and your employees will be able to get more done when you are not stressed and happier. Aside from walking meetings, you and your staff may consider establishing a walking club. This will involve setting up a target regarding the number of walks made by your employees through a week or two. A pedometer or step counter could be used, and the winner, who will have walked the most steps wins a prize. Besides motivating employees, they will be happier, and competition brings out the best in most participants. You may also consider starting fitness challenges and have the best person win a prize. This also goes a long way in building good employee interrelationships, enhancing teamwork and better work performance. Open and transparent communication is essential in the workplace. A lot of people feel that they cannot speak out in the workplace if they are troubled. Personal issues that affect productivity should quickly be addressed when people talk. When employees see their verbal input being considered and acted upon, it motivates them, and a sense of belonging is developed. Two-way communications break barriers set up due to a hierarchical management of organizations. An employee is more productive when they feel that their efforts are recognized, and they have gained more from an organization. Hard and soft skill training should be encouraged to build positive attitudes. This is also an asset to an organization when they have to train their personnel to make operations better. In conclusion, a healthy work environment, and happy employees start from having the best support from management. When employees know that they are cared for, they will be willing to go the extra mile in making your organization better and working out of love for the job rather than working because it is an obligation.